Front's rule engine allows you to create rules using AND/OR statements. 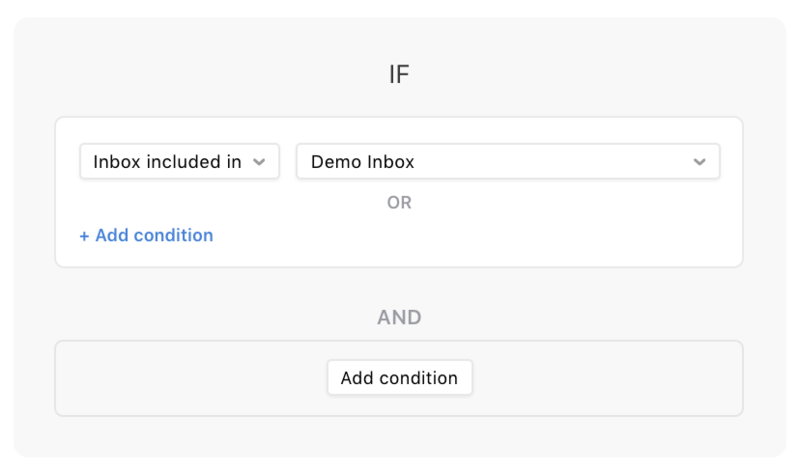 With this capability, you're able to create complex workflows within a single rule, making it easier to manage moving forward. A trick to understanding how the filter component works is by thinking about it as building blocks or Legos (our favorite)! When you add a filter condition you can either add that condition to an existing block or create a new block. Conditions within the same block are treated with 'Or' logic. We then use 'And' logic between filter blocks. 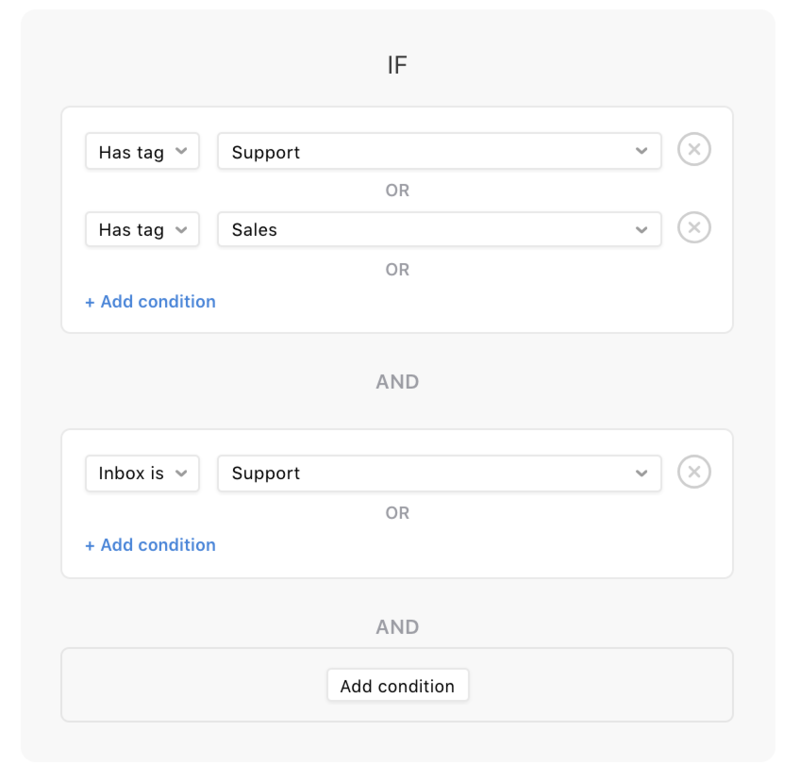 Looking at the below example, you can see that in order for this rule to be executed the conversation needs to have either tag support or tag sales and be in inbox support. 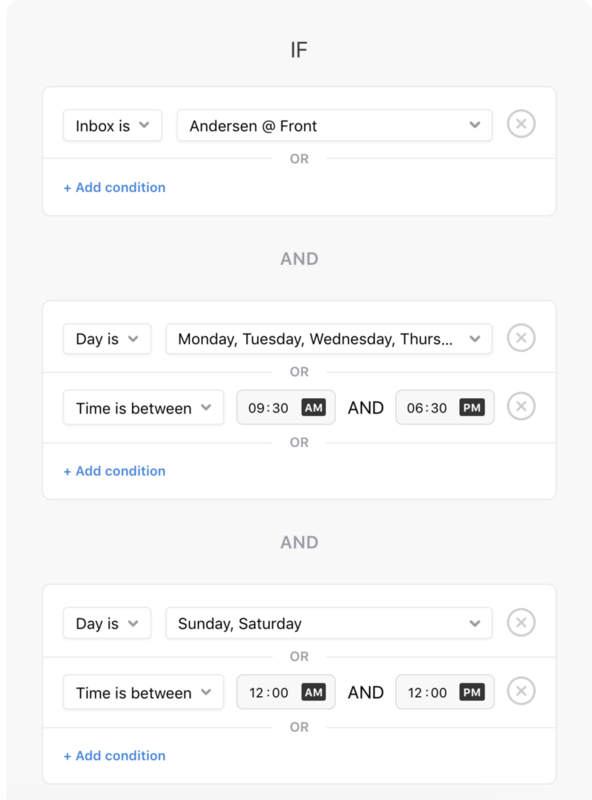 Many customers want to send an Off Hours Canned Response during a specific time during the week but a different timeframe during the weekend. With And/Or conditions, you can do this! Look at the rule below, you'll see that this rule will only trigger IF the conversation appears in Andersen's Inbox AND the Day is M-F between 12am-12pm OR the Day is Sat-Sun between 9:30am-6:30pm.